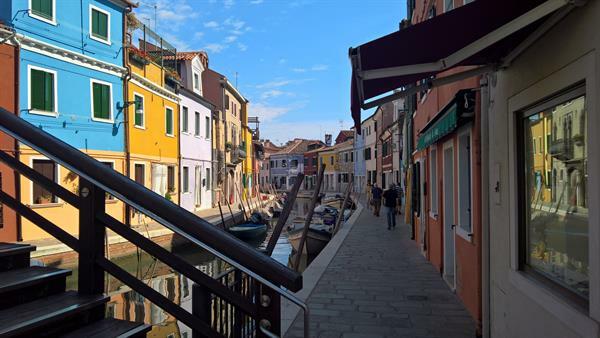 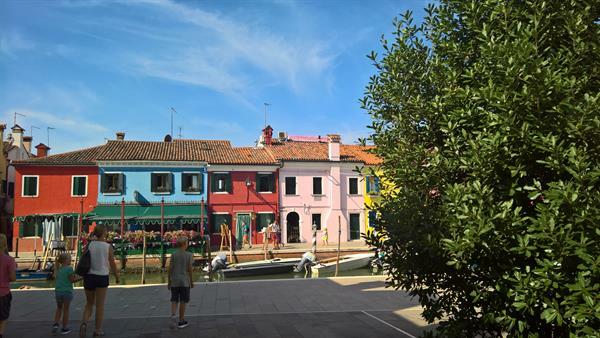 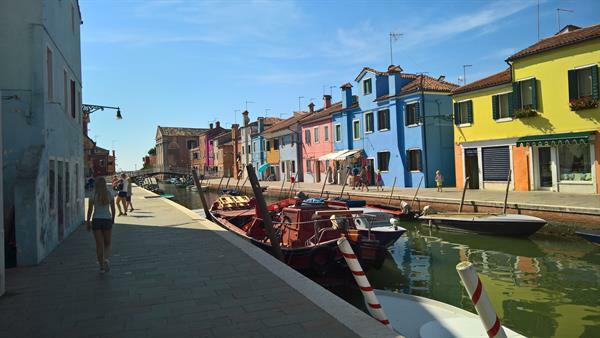 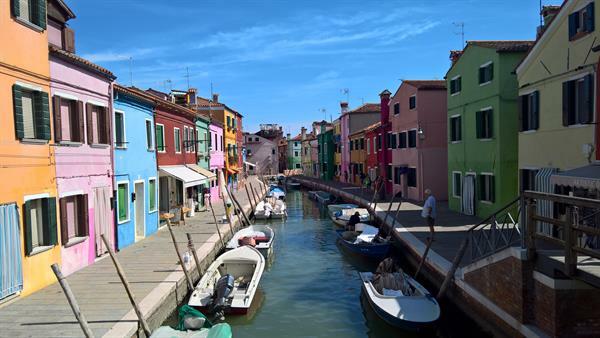 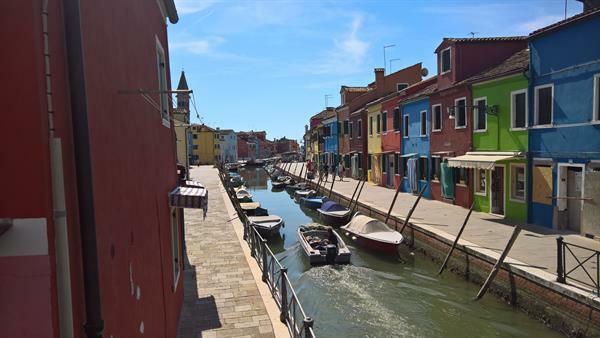 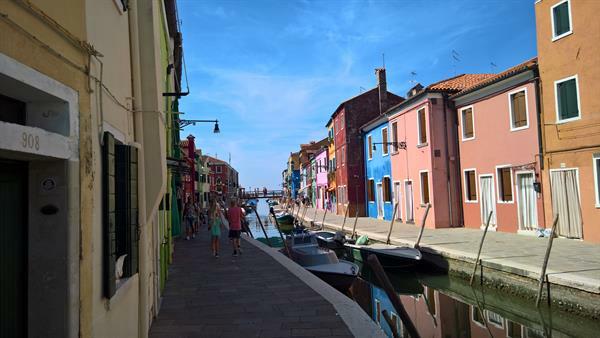 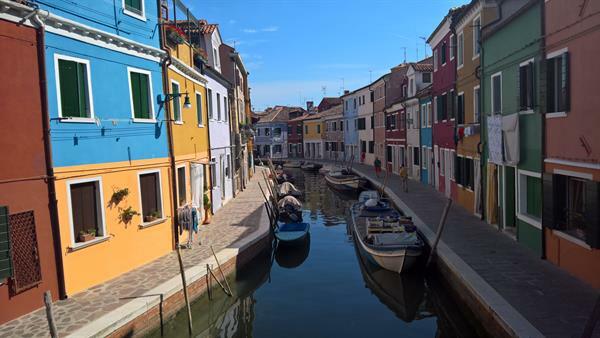 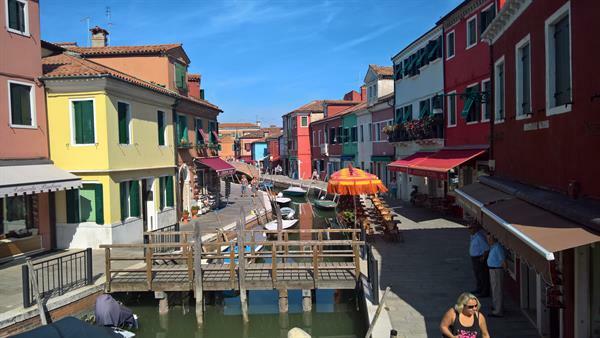 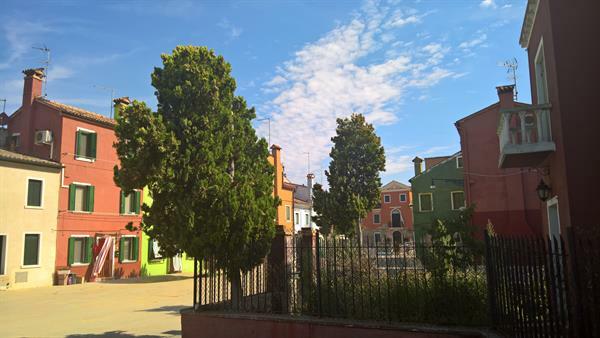 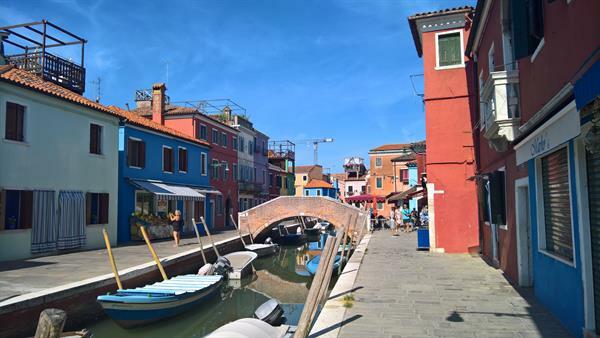 Burano is a small island in the Venice Lagoon. 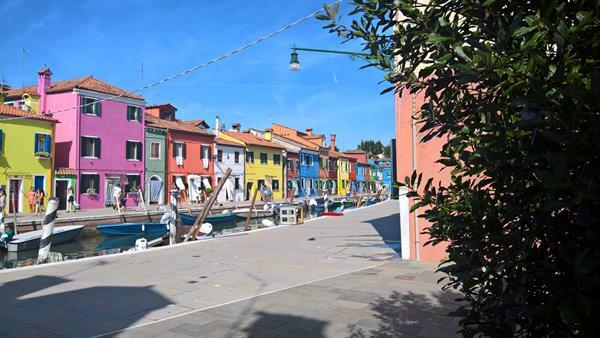 It has many colored houses, each house has its own color. 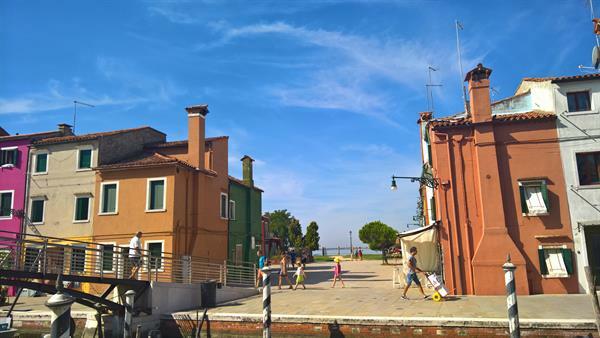 According to tradition drunken fishermen could easily find their small houses.The San Martino church dates from the 16th century and has a bell tower. 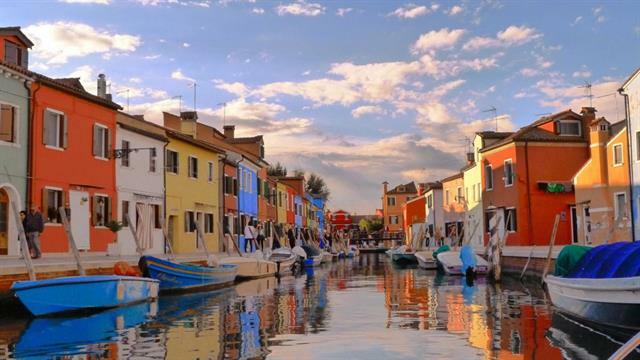 The island is famous for the tradition that women (mostly outdoors) lace as men were fishing. 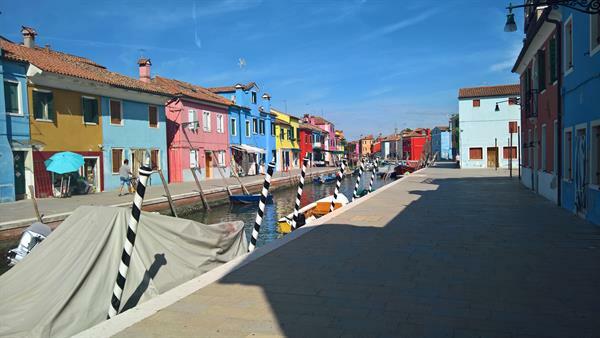 Lace from Burano is also therefore become a very valuable and sought after commodity.